As cannabis education and awareness continues to spread — and as more Americans and Canadians gain legal access to cannabis — the population of first-time consumers is increasing significantly. Whether these consumers are looking for relief from symptoms of medical conditions or just an alternative to alcohol for a Friday night, cannabis retailers need to be prepared to help first-timers navigate their product offerings and find exactly what they’re looking for. The problem, though, is that with no prior experience, consumers often don’t know what they’re looking for — and they may feel uncomfortable talking about it with a budtender in your cannabis dispensary, especially if they are seeking relief from a medical condition. The solution? In-store digital touchscreen menus that can educate your customers while enhancing their privacy. As mentioned, first time cannabis retail customers may not know what they’re looking for — or even what questions to ask your budtenders. With digital touchscreen menus set up throughout your store, customers who may feel intimidated or shy can simply search through the digital menu to see exactly what you have in stock and learn more about each product. 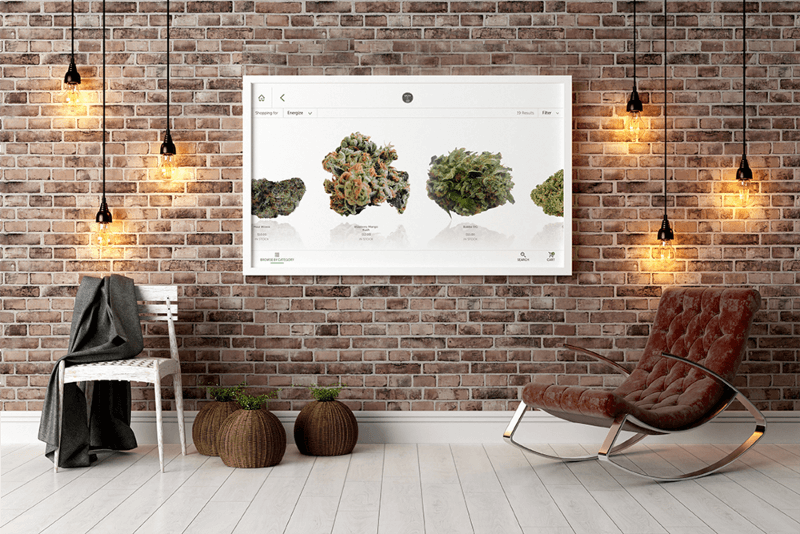 As opposed to a laminated menu sheet or three-ring binder, which has obvious limitations, a digital menu can provide in-depth explanations of each product type (flower, edibles, concentrates, etc.) as well as descriptions of each strain, the types of effects the consumer can expect to feel, and the symptoms that product or strain may provide relief from. Digital touchscreen menus also make your customers feel more comfortable, particularly if you are a medical dispensary. Your patients can discreetly find information about their condition and how medical cannabis can alleviate their symptoms, as well as learn the products and strains best suited to their particular needs. Unlike printed menus, digital touchscreen menus will always accurately reflect your current inventory. This is huge for customer experience — because there’s nothing worse than picking out exactly what you want only to get to the counter and learn it’s out of stock. With a digital solution, your menus update in real time as sales are processed and inventory levels change. Depending on your store’s setup, digital menus can also facilitate express checkout for customers in a hurry. Once customers have chosen the products they want, an express checkout feature can send the order directly to the point-of-sale so you can have their orders ready as soon as they reach the counter. Ready to learn more about how cannabis dispensary touchscreen menus can enhance your retail experience? Contact us to book a demo today.